The Messenians, who the Spartans made helots when they conquered them, revolt agains Sparta. Even though Sparta is outnumbered, they win. This is very important because it brings forth a constant fear of uprising in Sparta and causes them to become extremely militarized. Solon, an Athenian leader, creates 4 policial and economic reforms that lay the groundwork for a democracy and strengthen Athens' economy. The political reforms are dividing society into four social classes, outlawing debt slavery, allowing all citizens to participate in Assembly, and allowing citizens to bring charges to court. The economic reforms are fathers must teach their sons a trade, foreign tradesmen are allowed to settle in Athens and have citizenship, regulating crop export, and managing grains. The first war between the Greek city-states and Persia. 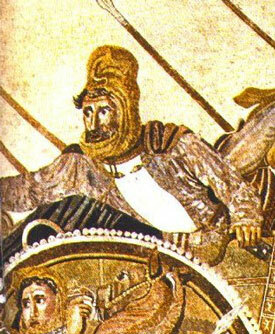 This war began because Darius the Great of Persia wanted to conquer more land, specifically the Greek city-states. It continued because the Greeks did not want to be conquered and rebelled. Final battle between Athens and Persia in the first Persian War. It took place outside of Athens (in Marathon) and when the Persians started to advance, a Athenian soldier ran the 26.2 miles from Marathon to Athens to warn them that the Persians were coming. 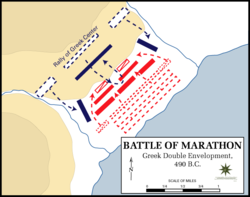 This feat gave Athens time to prepare themselves and allowed them to deliver the final blow to Persia to win the war. 489 B.C. - 480 B.C. Xerxes prepares the Persian army to fight Athens for a second time. He wants to get revenge on them for his father Darius the Greats' death and previous loss. The second war between the Greeks and the Persians, began by the new king of Persia, Darius' son Xerxes. The final battle of the second Persian war. 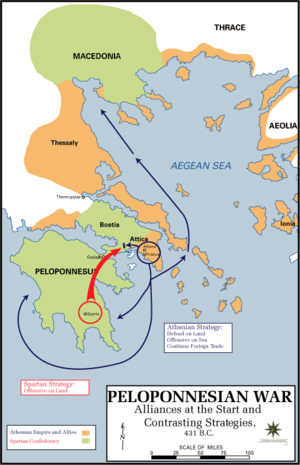 Athens positions themselves on the island of Jalimis. The Persians were unable to navigate the narrow water passages, so they surrender and go home. Athens then wins the war. 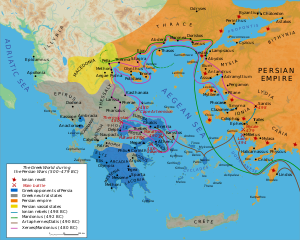 After defeating the Persians, Athens becomes the head of the Delian League. Through the Delian League (an alliance between the Greek city-states) Athens became extremely wealthy through taxing the other city-states large, unnecessary amounts. This time period was the pinnacle of arts, literature, architecture, and government in ancient Greece. Sparta invades Athens because Sparta feels that Athens is abusing its power as head of the Delian League. At the beginning of the war, there is a plague in Athens that kills 1/3 of the population, including their leader Perocles. This puts Athens at a huge disadvantage. The fighting continues with Sparta winning until 421 B.C., when a temporary truce is called so they can regroup. Fighting resumes, and in 415 B.C., Athens changes their strategy of waiting for Sparta to come to them and invades Syracuse, one of Sparta's closest allies. Sparta is able to save Syracuse from being invaded, and crushes the Athenian army. After another 9 years of ongoing warfare with Sparta still winning, Athens finally surrenders and loses their power and wealth. 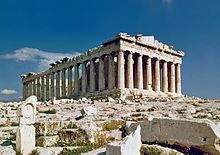 In around 410 B.C., philosophy emerged in Athens. After the Peloponnesian War, there was an overall lack of faith in the Athenian democracy. The philosophers through this period held two core beliefs: things happen in a natural way in the world and problems are solved through logic. This is important because it marks the first time in history that mythology wasn't used for explanations of why the world works. The beginnings of philosophy came from a group called Sophists, followed by Socrates, Plato, and Aristotle. While those three people were not the only philosophers of that time, they were the most famous and had many important teachings. 359 B.C. - 338 B.C. 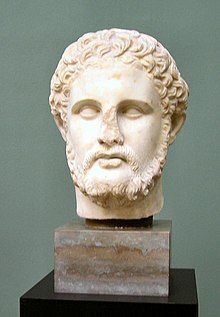 Philip II of Macedonia takes the opportunity to conquer Greece while they are disorganized and fighting with each other. He wants to conquer them for the potential of wealth, army, trade routes and culture. The weakened city states easily give in to him, and Philip takes over as the supreme leader. In 338 B.C., he is killed unexpectedly and his son Alexander takes over the throne.